It’s Friday and that means it’s time for our FREEBIE Friday Download from Kroger! 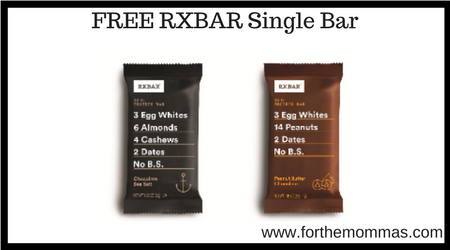 Today ONLY you can clip this Kroger digital coupon for a FREE RXBAR Single Bar 1.8oz. Clip the digital coupon today before midnight and redeem anytime thru 04/21/19.